IN DECEMBER 2014, Steve Plain suffered an almost fatal injury. He broke his neck bodysurfing at Perth’s Cottesloe Beach, which left him in a halo brace for four months and another month in a neck collar. But just 11 months after his accident, he began his journey to climbing the world’s seven summits – Vernon, Aconcagua, Kilimanjaro, Carstensz, Elbrus, Denali and of course, Everest, in just four months. Steve anticipated that the reaction of his family to his intention to climb the seven summits might be less than enthusiastic. “I had a good mate from high school who climbed Everest back in 2012 and he came and visited me in hospital. I told him what my plans were but he was the only person I told. I didn’t want to tell anyone else because I just thought they might tell me how stupid I was,” he tells Australian Geographic. Steve recovering from his injuries. But they eventually caught on to his grand plans when he climbed Mount Aspiring in New Zealand, telling his family this was “practice number one” and his mountain climbing in Peru “practice number two”. 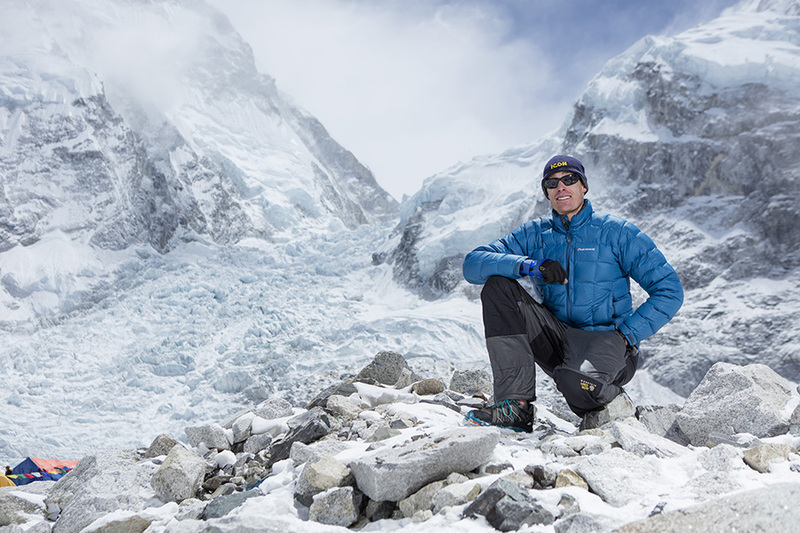 It wasn’t until he returned from “practice number three”, a climb of Ama Dablam, a mountain in the Himalayas, when he finally told his family of his intention to climb the seven summits. “Coming from a family that’s had no exposure to mountaineering and climbing it’s perceived as high risk. My parents were worried but so supportive,” he says. Steve officially kicked off Project 7in4 in January this year, beginning with Mt Vernon in Antarctica, then Aconcagua in Argentina, Mt Kilimanjaro in Tanzania and Carstensz Pyramid in Indonesia, all completed by March. “The first half in the Southern Hemisphere during the summer time was relatively easy. The hardest part was the second half in the Northern Hemisphere,” he says. On 13 March, he began climbing Mt Elbrus in Russia, then Denali in the United States, which he says was the most challenging climb of all. “This was purely because we had to climb it out of season. We were the only team on the mountain the whole time, fully self-supported, facing minus 45 degree temperatures. We got hit by a storm and couldn’t get out of a tent for three days,” Steve recalls. After conquering Denali, however, there was no time for rest and it was time to take on Everest. Steve at Everest Base Camp. 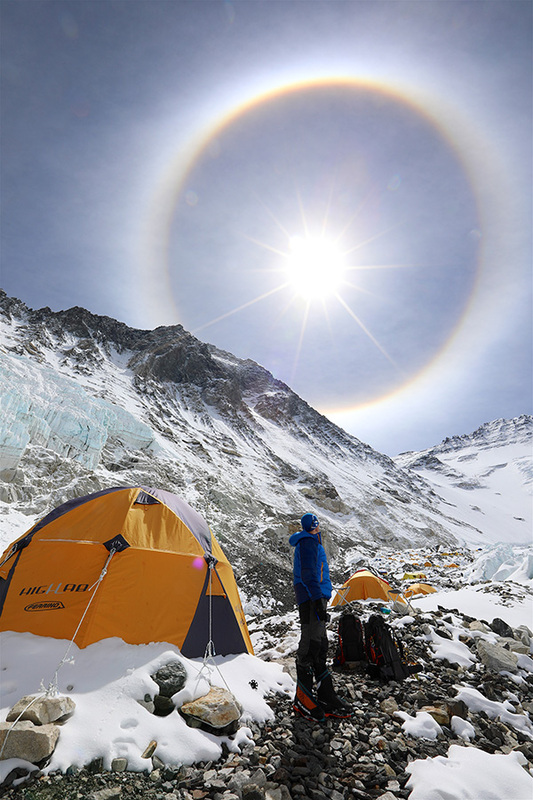 The Everest expedition took Steve and his team four weeks, which included trekking to base camp, acclimatising and waiting for a weather window. Steve says that his team was able to short-cut some of the normal acclimatisation as they were partially acclimatised having come straight off Denali. The final summit took five days, meaning Steve completed the seven summits in a record 117 days – nine days quicker than the previous record. Steve’s camp setup on Everest. Steve has wasted no time in planning his next big adventure. In fact, Steve and one of his fellow climbers began talking about future record-breaking climbs while summiting Everest. Ultimately, Steve’s accident has made him more aware of how quickly life can change and is now working towards balancing his work life with a life of adventure. “You never know what you’re going to wake up to tomorrow so if you have a dream out there, it doesn’t necessarily have to be climbing, but whatever your passion is, don’t put it off. Give it a crack!